September 10: I took another day off the trail. 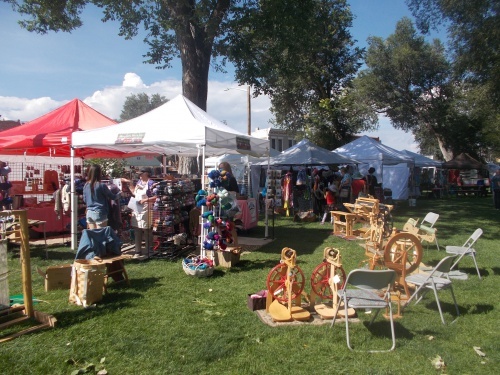 I wandered around town, where I discovered that I had arrived in the midst of the Salida Fiber Festival and you could buy every type of yarn imaginable--and probably types you hadn't imagined. For lunch, I walked to the other side of town where I met Ping hiking into town. 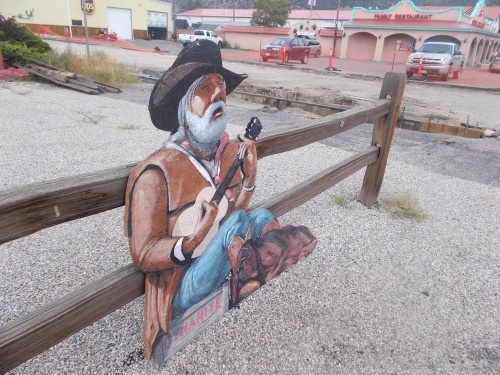 He had just come off the trail that afternoon but his hitch only took him to the main highway through town rather than into the downtown core located maybe half a mile away. He was close enough that he figured it would be faster and easier to walk into town than try to hitch the last bit of the way. I didn't blame him! I gave him directions to the hostel, and we continued on our way. I wound up eating lunch at 50 Burger Shakes and Beer, mostly because it looked interesting and gave me a nice walk around town. Great burger! I can't tell you about the beer, though, because I didn't have any. After lunch, I pulled out my guidebook and started planning the next section of the hike. Most people resupply at Lake City, about 100 miles further along the trail, but I did some math and decided that if I carried a few extra days of food, I could push on all the way to Silverton. 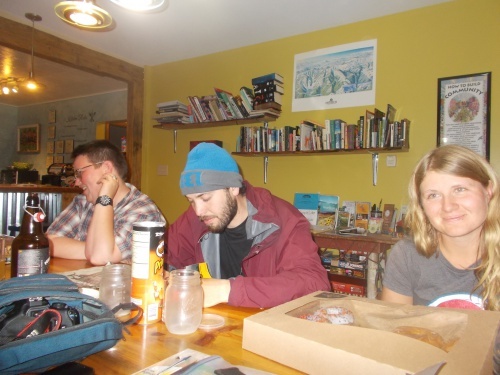 It would mean a heavier pack to begin with, but getting into town, resupplying, then getting back to the trail would probably cost me at least a day, and I was anxious to finish the trail before any snow storms hit the trail. I toyed around with the idea of resupplying in Lake City and skipping Silverton--Lake City was closer to the middle of what I had left of the trail so I could even my pack weight out more, but Silverton was a lot closer to the trail than Lake City and that ultimately sealed it for me. I'd rather hitch 6 miles into a town than 17 miles. And if I had trouble hitchhiking a ride (not like I was familiar with these roads), I could walk 6 miles into town in a couple of hours if it came down to it. Not that I planned to do that, but at least it was an option. I figured the distance to Silverton would take 9 days to complete. Maybe carrying 10 days of food--just in case it took longer than expected. Although if I was running behind schedule, I could still go into Lake City and resupply early if needed. But I really didn't want to resupply more often than I absolutely had to. With my plan of action, I headed back to the hostel. Along the way, I saw a deer wandering at the edge of town and walk behind a business. I followed it, putting out my camera and taking photos, and it seemed to make itself at home in a "nest" of sorts it had at the back of the building. The deer looked at me wearily, but didn't seem to bothered by my presence. After taking all the photos I wanted, I continued back to the hostel. There I found Ping, freshly washed and cleaned and we chatted for a bit, and I told him about my learning Polish which was why I was carrying a small Polish flag. (I waved it around in the room for effect.) And he said that he had been hiking with a girl from Poland, but she had already left town. What?! I missed a Polish-speaking person?! Nooo!!!! I was very sad about this. Ping eventually headed downstairs, and I started emptying out my pack so I could fill it with all the groceries I'd be buying at Safeway when Ping returned and said that the Polish girl was back and downstairs right now. Really?! A real-life Polish-speaking person?! Just downstairs? So I headed downstairs, where I saw a young girl and nobody else and assumed she must be the Polish one. "Dzień dobry!" I said. "Mówisz po polsku? Tak?" Hello! You speak Polish? Yes? Yep, she was the one. =) She introduced herself as Monika, and we chatted for a while--including in English when I had trouble forming a thought in Polish. She'd been in the country all summer working at a Boy Scout camp and had a little time before she had to return to Poland which she wanted to spend hiking the Colorado Trail. She was hiking in the opposite direction as I was, though--the proverbial two ships passing in the night. I jokingly tried to convince her to switch directions and hike back to Durango with me (I need to practice my Polish, I implored! ), but she wasn't having any of that. I also joked that she must have all sorts of people wanting to talk Polish with her. There's not of a lot of you Polish people out here--the supply of Polish-speaking people is limited! "You're the first," she told me. 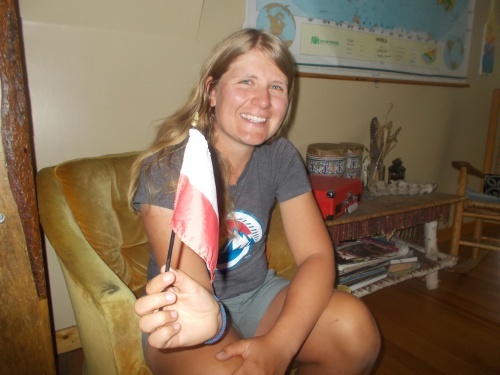 "Most people hear my accent and always want to know where I'm from, but nobody ever wants to speak Polish! Except you...."
Other people from the hostel trickled in and as part of a larger group none of which spoke any Polish at all, we started speaking exclusively in English. Which didn't interest me so much and I decided that was a good time to head to the grocery store. The rest of the day (and evening) was uneventful, and nothing else of particular note happened. Back at the hostel I repacked all of my groceries in ZipLock bags and figured out how to fit a week-and-a-half of food into my pack. It was going to be miserably heavy my first few days back on the trail! 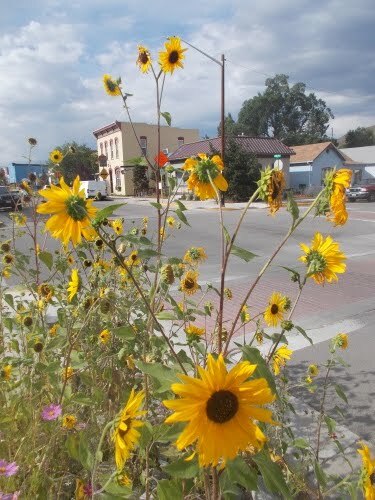 I wrestled with whether or not I should send my big, fancy camera ahead to Silverton or just mail it home. With this much food, my pack would be setting new records for how much weight was in it. And it's not like I used the camera very often. I only pulled it out when there was wildlife I couldn't get too close to (be it birds, deer or--I still hoped--bears and moose) or for the occasional astrophotography session (which didn't happen often since most night I was either camped in the woods with little view of the sky or it was overcast and cloudy and stars weren't out). It would have been an easy thing to send home. I got great photos of pika, deer, squirrels, chipmunks and even the Milky Way. It was a good showing, and it was tempting to mail it home at this point. I didn't really need it anymore. But what if I saw a bear?! Or a moose?! I'd be kicking myself if I didn't have the camera with me. Even when I went to sleep, I was still undecided about what to do with the camera. When I went to the post office, I picked up an extra box so I'd have the option to mail it ahead (or home). But I was torn about what to do with it. 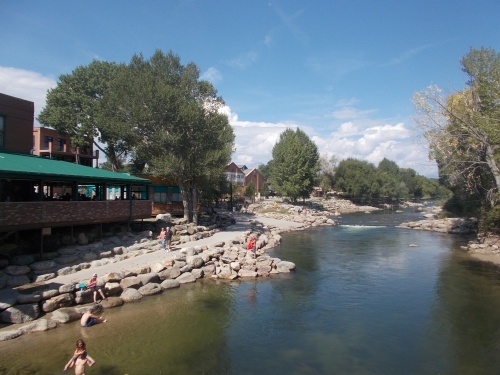 The Arkansas River runs through the downtown area. 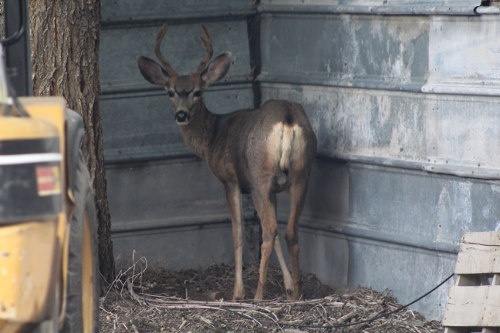 This deer seems to have made a little "nest" for himself in town! Day 19: Hunters! Hunters! Everywhere! 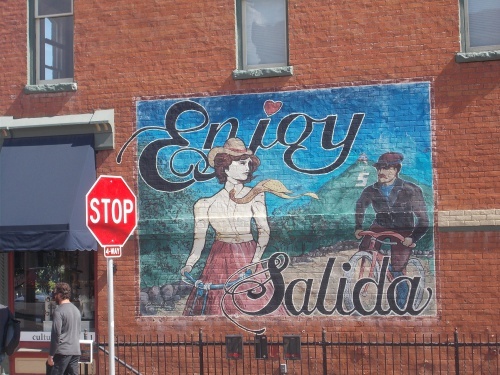 Day 16: And into Salida! Day 9: The Great Rubber Duck Race!